Security wise Windows XP has several features like, Internet protocol security, personalized login, ICF (Internet connection firewall) that uses active packet filtering, encrypted file system (EFS), etc. The 'ICF' is a software that comes bundled up with Windows XP and the network wizard, by default, starts the ICF when the Internet connection is established. The ICF is a stateful firewall, which retains the memory of connections that happen to pass through it. Using the entries in the connection table, which it maintains, the ICF allows data flow only between the authorized users and prevents any snooper from sending or reading data. Files that are stored in the NTFS structure can be encrypted using the EFS. Just by a few mouse clicks an entire folder or selected files can be encrypted. Once EFS is enabled the file is stored in the form of ciphertext, which can only be deciphered by authorized access. This ensures that even thought a hacker manages to gain access to the system he cannot have any meaningful interpretation of the data that is stored in the files. So in effect, the EFS encryption system guards vital data even when some unauthorized person gains physical access to the computer. Furthermore, unauthorized users will be tracked and a record of the access details will be maintained which makes it easier to trace them. As explained earlier windows XP has a definitely enhanced performance compared to previous Windows versions. The application loading process in particular is much quicker compared to all other leading operating systems because of a unique feature called prefetching wherein the OS using a log of previous application usage details and caches files related to the application during the application loading time. This greatly minimizes the number of disk seeks and drastically improves performance. To this purpose Windows XP uses automatic defragmentation of the disk whenever the system seems to be at rest (If there is no I/O activity for 13 minutes) and places related data in contagious clusters. This makes it possible to have maximum data pertaining to an application to be available in the cache. Similarly the boot up process is modified by new features like parallel querying of devices, which considerably reduce the system boot up time. [Andrew Binstock] However there are a few drawbacks with windows XP. The operating system consumes more than 1.5gb of disk space and many view that the device driver database is not comprehensive making it problematic when detecting new hardware. Windows XP is definitely a robust, stable and secure operating system compared to other modern day operating systems. The enhancements to the kernel from the previous versions and the totally new client server-based structure have given added stability to the operating system. From networking point-of-view where security is our main concern Windows offers an array of features like ICF, EFS and IP security, which guarantee maximum protection against potential intruders. Device handling in Windows XP is all the more simpler a task with the continuous update feature for device drivers offering better management of devices. The quality check for device drivers using the digital signature is a novel feature in windows XP, which guards against tampered device drivers and prevents system crashes. Though the micro kernel based architecture and the resultant increasing and time consuming shuffling between the kernel and user modes has a definite slowing effect on the system performance, it is clearly compensated for by the drastic improvement in memory management features. Prefetching, Dynamic paged pool and Constant defragmentation have all contributed to improved handling of virtual memory resulting in considerable speeding up of process execution. In conclusion we may say that Windows XP is a highly stable and dependable operating system, which offers a reliable level of security and acceptable level of performance. The unique blend of stability and compatibility is what makes Windows XP one of the efficient and robust operating systems in the pc segment. Guy Hart -Davis, "The Complete reference: Windows XP Professional," McGraw Hill Publishers, 2003. Windows XP (the new Windows Experience) is the latest and greatest version of Microsoft Windows and the first product to incorporate elements of the new Microsoft.NET strategy. "Windows XP." 28 March 2004. Web. 21 April 2019. 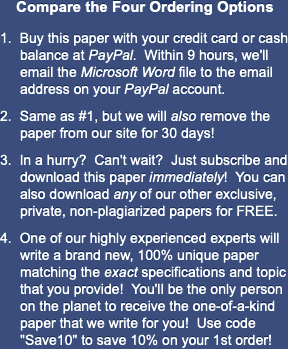 <https://www.essaytown.com/subjects/paper/windows-xp-latest/3742720>. "Windows XP." Essaytown.com. March 28, 2004. Accessed April 21, 2019.